These 3 unique guys are just chatting about their hometown. Ann Page Cream of Tartar sports gray steel wool hair and is the oldest of the group. Coleman's Mustard is a tailor and has measuring tape arms. Sauer's Pickling Spice has a punk haircut on his tea ball head. 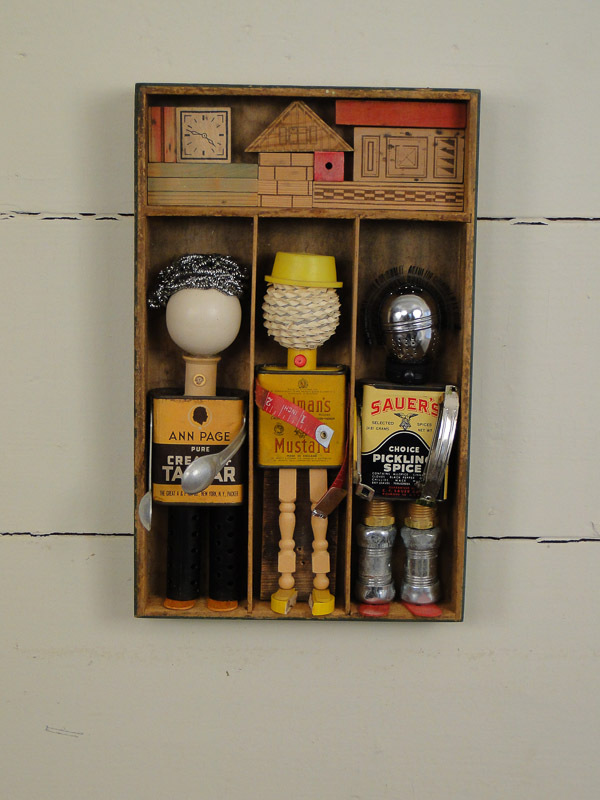 The hometown is made from an antique wooden building set.